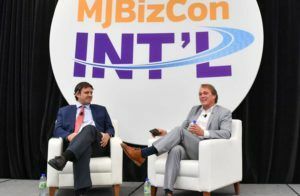 Canopy Growth, a Canadian medical marijuana giant, is taking a massive 5 billion Canadian dollar ($3.8 billion) investment and going all in on worldwide medical and recreational cannabis business opportunities, the company’s CEO, Bruce Linton, said Thursday during an exclusive, wide-ranging question-and-answer session at MJBizConINT’L in Toronto. Constellation Brands – which owns, distributes and markets 100 beer, wine and spirits brands, including Corona and Robert Mondavi – on Wednesday announced a record-setting investment in Canopy Growth, the largest involving a marijuana company to date. How Canopy and Constellation defined the deal: We focused on it as a relationship, which meant we put down a whole bunch of specific ways we worked. For example, they were our sole partner for beverages, but if we wanted the same outcome not in a beverage, that was all our business. We had really specific boundaries on how intellectual property was created and shared and what duration of access people had. We spent 11 months putting together the deal so that everybody would understand where they could play and where they couldn’t play (so) the conflicts would be minimized. And we did a good enough job of that, that as soon as we announced it, we began almost on a daily basis interacting with various parts of the organization. Why incremental investments over time are better than outright acquisitions: Now, if (Constellation) had come by and said, “We want to buy the whole thing,” when we were trading at $8 billion, if they had offered $12 (billion), they might’ve gotten the whole thing. But I think as we’ve seen in this sector time and again, if you buy the whole thing, hostile or not, it doesn’t actually transition over. Things disappear. People don’t hang around. Energy dissipates. And so, what (Constellation) did is the smart thing, which is put in rocket fuel – let us go harder, further, faster. And then if they want more later, then they come back and get it. And you actually get way more if you do it that way. Even though you’ll pay more, I think you’ll find that the ability to get to a positive, stable EBITDA (earnings before interest, tax, depreciation and amortization) – generating great global business – is much higher. Canopy’s plans for spending its CA$5 billion “rocket fuel”: We’re going to focus on how we make platform decisions, so in every country where we make an investment, we’re able to make a return on invested capital. We’ll look at what things we can build or create that get overlaid across all the countries. I wouldn’t say they’re very uniform, but they’re all moving. 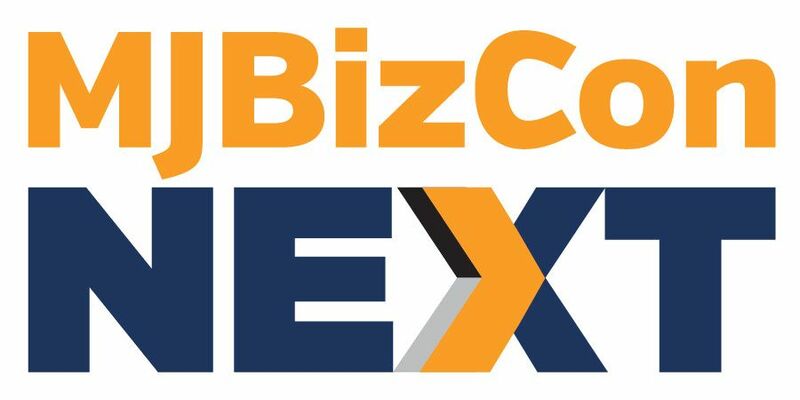 If I had to present at MJBizCon in Las Vegas in November 2017 and I had said, “In the next 12 months, (medical marijuana legalization) will be one of the top topics in the U.K.,” everyone would have said, “There’s no chance. Like zero.” But that’s not the case. So, we’re looking at all the countries that are open to legalization, but we’re also looking at the catalyzing events that can cause a country to be open to it. And then how fast can you move on it. Honestly, if any of (a country’s) GDP is associated with tourism, I think its probability of being open to medical and then rapidly opened to rec (is higher). How the STATES Act (Strengthening the Tenth Amendment Through Entrusting States Act) could affect Canopy’s participation in the U.S. market: Which (U.S.) markets are interesting? Any that are legal. What do we want to make? Anything we can that’s legal. That would be, I think, an outcome that would allow us to participate. On Canopy’s option agreements to purchase U.S. cultivation infrastructure: (Canopy paid) I think $375 million in stock to acquire outright the control of (two greenhouses in Aldergrove, British Columbia). In the context of doing that, they had another humongous greenhouse in California. Why not acquire a right to buy a humongous greenhouse in California at book value? If it becomes federally legal to produce cannabis in California and sell lots of it … I suspect the value of a huge greenhouse might go up about three times in the first two years. Having optionality on assets that become part of the integrated growth of what could be a huge economy, I think, is a good way to go. It’s a lot cheaper to spend more money now and not be wrong when it happens. Why alcohol companies shouldn’t be afraid of cannabis: I think most (alcohol companies) fear cannabis, and fear is a very paralyzing response. They should have been way more progressive like Constellation was. So, here’s a really bad reaction: I bet they have a lot of committees. Can you imagine what a (horrible) job it is to be the CEO of a beer or liquor company and have a meeting of shareholders? Somebody’s going to say, “What is our cannabis plan?” They’d say, “We have a committee.” You want to fire that person, right? What’s a committee do? What’s the interface between an entrepreneurial startup marijuana company and a really old liquor company with a committee? How well does that work? The reason we like Constellation is they do things, they make decisions, they take actions. If you look at their history of how they’ve created the last 10 or 15 years of value, it’s unbelievable. 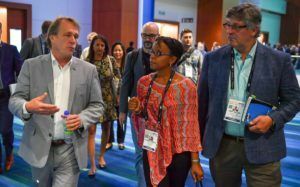 “Disintegration” – not consolidation – in Canada and beyond: There’s going to be disintegration, and that’s a very different outcome than consolidation. Disintegration happens when people make promises and valuations that can’t possibly be fulfilled because they have no off-take agreements. They have no chance of doing anything potentially other than building inventory. And probably a third of the money that’s being rolled out isn’t actually ever going to turn into any inventory. I think you’re going to see the capital markets in Canada confirm that. Each time I read an article about the Alcohol Industry getting pissed about Cannabis I just SMH.. These people are Missing out on the Biggest thing since Sliced Bread or BEER! They NEED To Embrace Cannabis, Make Cannabis Drinks! There is so much potential for them if they just open their eyes to the Glaring Possibilities! They do NOT need to Lose Money, they really CAN have the best of Both Worlds with a THC Drink and Alcohol Drinks.. But NOT mixing the Two.. If I owned a Adult Beverage company I would be Scrambling to get into the Cannabis market and create Awesome New Drinks with Cannabis as the Main Ingredient.. SO MUCH PROFIT! So LITTLE FORESIGHT! Canopy Growth irradiate cannabis which burns terpenes. Radiation also kills the curing. Uncured cannabis taste bad. Spraying Monsanto’s Actinovate SP is also a terrible practice. How does Constellation Brands investment of billions effect the upcoming boards decision regarding the stock split ? Why is it taking so long to advise shareholders of the outcome ? Please, advise.